2 Years (1 Year Default Base Warranty + 1 Year Additional Warranty) across India, covering manufacturing defects. Get the peace of mind and coverage for costly repairs with the convenience of in-home service. No hidden fees – you won’t pay a rupee in deductibles and fees for warranty service. 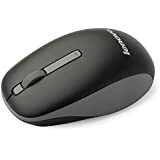 Remote problem diagnosis and support included, replacement parts and materials included, escalation management and coverage for all Lenovo branded components. Support Hours: 9am to 6pm (Monday to Friday). 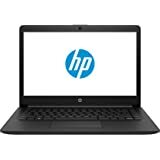 Optimize your investment by extending the manufacturer warranty and make your laptop last longer. Get back to business faster with onsite support within 48 business hours, in case your issue is not resolved over phone. If we find discrepancy in your product's warranty, we will assist you to rectify. 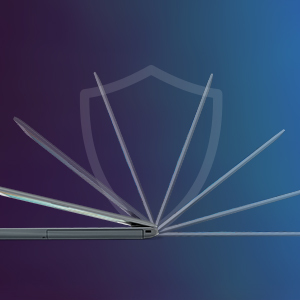 Assuring, you get the most out of your laptop's warranty coverage. 24x7 access to Premium Care Support via dedicated telephone number, Extended Next Business Day Onsite support from 9am to 9pm, 2 hour email response time. Available across 21 major cities in India. Dedicated highly trained experts of the Premium Care support team help resolve all hardware and software issues. Comprehensive Box to Boot support over the phone. Getting Started assistance for Licensed software installation, connect device to network, Configure email services, setup licensed antivirus software and much more. Reduce your system down-time period. Enhanced parts and service prioritization with stand-by PC facility, if your issue is not resolved in 2 business days. Zero Tolerance to dead pixels, screen replacement for manufacturing defects. 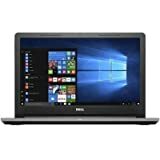 If we find discrepancy in your product's warranty, we will get it updated per your purchase invoice, thereby assuring you get the most out of your Laptop's warranty coverage. 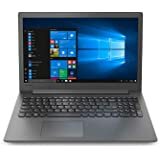 Amazon's Choice for "lenovo ideapad 130 intel core i3 6th"
1 year onsite domestic warranty from Lenovo covering manufacturing defects and not covering physical damage. Register on brand website to activate warranty.For FAQs on warranty, link to check and update warranty start date, see Warranty FAQ PDF under Technical Specifications. Reach Lenovo: contact_us at [ 1800-3000-5366 ] or contact_us at [1800-419-7555 ]. This product is eligible for 10 Days Replacement in case of any product damage, defects or different product being shipped. Sold by LENOVO AUTHORISED SELLER – SYSTECH (5.0 out of 5 | 1 ratings) and Fulfilled by Amazon. Gift-wrap available. 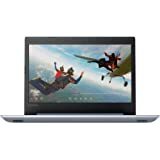 Sold by LENOVO AUTHORISED SELLER – SYSTECH and ships from Amazon Fulfillment. Ships from and sold by Protech.. 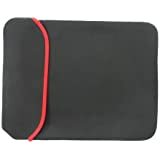 If you’re looking for a reliable notebook equipped with the speed, power, and durability to handle today’s tasks and tonight’s entertainment, take a look at the Idea Pad 130, Tough on the outside, Stylish and durable design with a protective finish, Rubber bumper bar for managed cooling and reduced slide shock, Powerful on the inside, Powerful processing with 6th Gen Core I3, Multi task with ease with 4GB DDR4 and 1 TB storage, Work and Play, Tap into the performance of NVIDIA’s Maxwell architecture; 2GB Graphics, Bigger sound of Dolby Audio, Durable Design, We view the PC as a good friend - one that we hope you get as much time with as possible. That’s why we designed the Idea Pad 130 with a special protective finish to guard against wear and tear, as well as rubber detailing on the bottom to maximize ventilation keeping it cooler, and running longer on those days that you need your friend to be there for you. Available in Granite Black. Experience smooth powerful graphics, Experience the performance of dedicated graphics with the optional NVIDIA GeForce MX110 graphics. 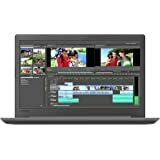 Count on fast, smooth HD photo and video editing, plus better gaming all without compromising battery life. A laptop isn’t just a piece of electronics - it’s also an investment. 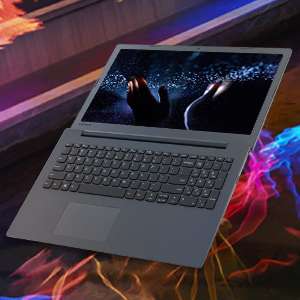 That’s why we designed the Ideapad 130 with a special protective PC ABS Painting Finish, to guard against wear and tear, as well as rubber detailing on the bottom to maximize ventilation and extend component life. Easy to carry around with just 2.1 kgs of weight, the Ideapad 130 is designed to make an impression with its tone-on-tone Granite Black color. 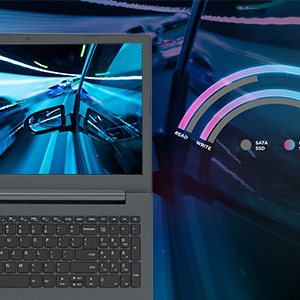 Featuring 15.6” clear display without any strain on eyes with anti-glare HD resolution and 200 nits brightness, the Ideapad 130 delivers powerful visuals on the go. 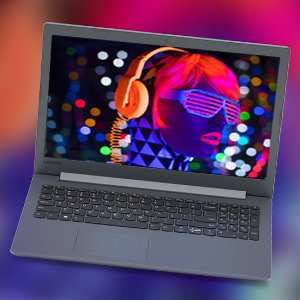 Combined with Premium Dolby Audio with 2x1.5W speakers, the Ideapad 130 provides a dramatically enhanced entertainment experience. Turn up the volume without distortion - you’ll hear every detail. An extra flexible 180-degree hinge reduces excessive accidental strain on the hinge and thus prevents damage to display. It also allows greater maneuverability. 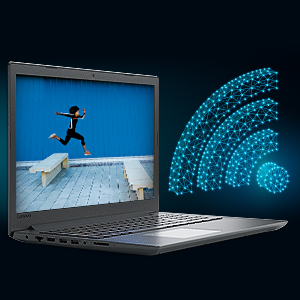 Enjoy superfast connectivity with 1x1 AC Wi-Fi and GB LAN (3X faster than b/g/n and 10X faster than 10/100 LAN). 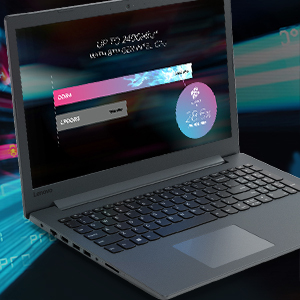 Ideapad 130 is equipped to meet your evolving needs with cutting edge Intel Core i3-6006U processor, 4 GB RAM and NVIDIA GEFORCE MX110 (2G GDDR5) graphics. 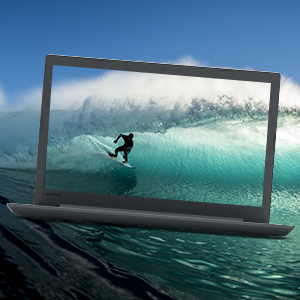 Ideapad 130 offers ample storage of 1 TB to help you build your collection of videos, photos and more. Now all of it accessible at one place. 4.0 out of 5 starsBest Option for Casual Gaming!! 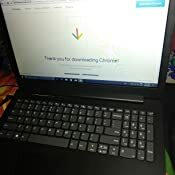 So, I bought this laptop in the Amazon Great India Sale and got it for 20K including exchange and other discounts which I thought was a great deal. 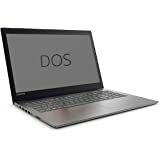 I have been using this laptop extensively for the last 4 days and I would divide this review in Pros and Cons based on my opinions. 1. The Screen Quality is good. I read reviews that the viewing angles are not great but in real usage, I don't think they affect much as this is a TN Anti Glare Display. 2. Nvidia GeForce Mx110 2GB DDR5 Graphics Card. This helps a lot in performance and lets you play games. I have played FIFA 15, Pubg Mobile(Smooth with 30 FPS). Though I faced some frame drops, the overall performance was okay. 3. 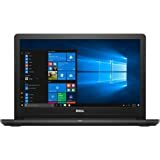 DVD Driver: this wont be a major issue for all but still, it is a good option to have. 4. Keyboard: The keys are soft and I did not face any issues with them while typing. 5. Trackpad: The trackpad has a nice matte finish which feels great while using. 6. Build: Although the frame is completely plastic, it has a nice textured finish which makes it look great and even the palm resting area has the same texture which makes typing much more pleasant. 7. Weight: It is pretty light and easy to carry around despite its full sized 15.6" display. 1. DOS: This is not a major issue if you know how to install windows but finding the drivers for this thing is a complete headache. 2. 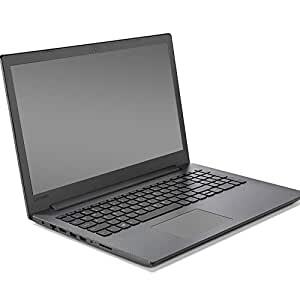 Core I3 6006U: The processor is a bit older and it definitely affects the performance of this laptop. 3. RAM: Some say that 4GB Ram is more than enough but if we talk about gaming and multitasking, you should have at least 8GB Ram. Now, as far as the no of RAM slots are concerned, I don't know about that but I have asked Amazon and Flipkart both about the info but I haven't got any reply till now. 4 gb RAM is not enough... Adding extra 4 gb can give you flawless performance. It has only two usb 3.0 slot and a dvd writer/driver. Nice product in this price range. I purchased it in 24k. I received it well packed and intact condition. Sound quality quite amazing. It is very surprising that in this price point it has a dedicated graphic card (Gddr5). Over all I would like to give a big thumbs up for delivery and this product. The Laptop is work good. And battery life is good. while playing high-level graphics games battery power used more other than that battery life is super. The keypad is very smooth. Dolby sound system is good. Overall the laptop is good.